Greetings in the name of our lord Jesus Christ. In the previous post I discussed about how to overcome the greatest traumas of the past. Today I would like to concentrate on people whose life is in tears in some way or the other. I am sure there are thousands of people who may look happy outside but crying within themselves and weeping in secret. Tears are the emotional expression of extreme sadness and pain. 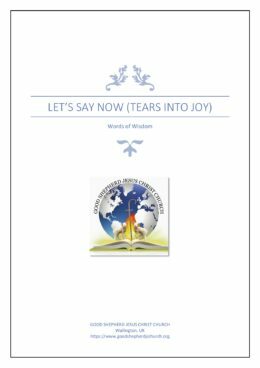 All that I want to tell them is Jesus came on this earth not only to redeem us from our sins (Eph 1:7) but to turn our tears into joy (John 16:20). Satan comes to steal our joy but Jesus came to give us abundant joy (John 10:10). Tears that we shed are very precious in the sight of the lord. HE has stored our tears in a bottle (Psalms 56:8). But that are valued only when it is shed in the feet of our lord Jesus Christ. That’s why I don’t want any of your tears to go waste. On one hand she was loved by her husband but on the other hand she was mocked of not having a child by her rival wife. The bible clearly says that every year they went to a place called Shiloh to give sacrifice to the lord. Hannah too went every year but never ever made any request to the lord and she would go to Shiloh with tears and return with tears and painful heart with no hope and joy. But when the pain was just unbearable she cried out to the Lord (verse10). This time the lord became real to her and she poured out her heart to the lord and suddenly the faith stirred her to vow to the lord. She vowed from her heart that if the Lord would bless her with a male child she would give back the child to serve the lord. She didn’t say a word instead her tears spoke of her hearts pain and desire (verse 11). As she shed tears she spoke from her heart not from her lips but with a heart full of faith. That faith made her to give the child to serve the lord. She made that vow because “now” she was sure that this lord will surely bless her with a male child. Verse 18 says that she ate and she didn’t worry anymore because God healed her broken heart (Psalm 147:3). And god not only blessed her with a child but gave her five more children (1 Samuel 2:21) Her tears were turned into joy (1 Samuel 2:1-10). Are you someone who go to church on every Sunday or to a crusade and return home with a burdened heart just like Hannah? Or are you a person who is aware of gods promises but yet living in tears just how Hannah was living. Isaiah 43:19 says that the lord wants to bless you “now”. Hannah’s prayer was heard straight away and the next year she went to Shiloh with a child. So, let your tears speak your heart not in loneliness or not with a person but to God. The God of compassion will surely bless you and turn your tears into joy according to your faith and belief (Mathew 21:22) because nothing is impossible to God (Luke 1:37).